Approximately 15 million Americans have food allergies. Many of whom are at risk for anaphylaxis. In fact, every 3 minutes an allergic reaction sends someone to the emergency room. To emphasize, food allergies are a serious and life-threatening condition. There is no cure other than simply avoiding the allergen or allergens in question. The best way to help those who suffer from these serious health concerns is education and awareness. 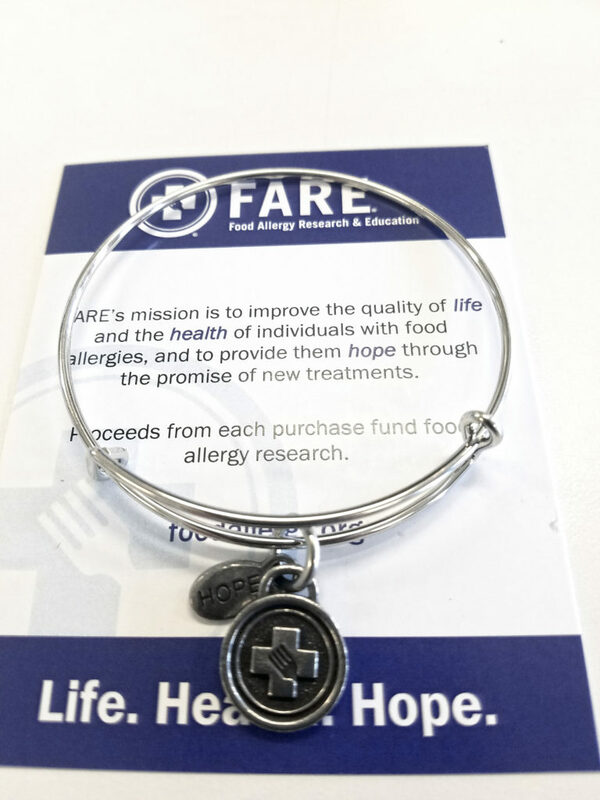 FARE, Food Allergy Research & Education, reached out to Charity Charms in order to create a series of fundraising awareness bracelets to help with education, awareness, and research. 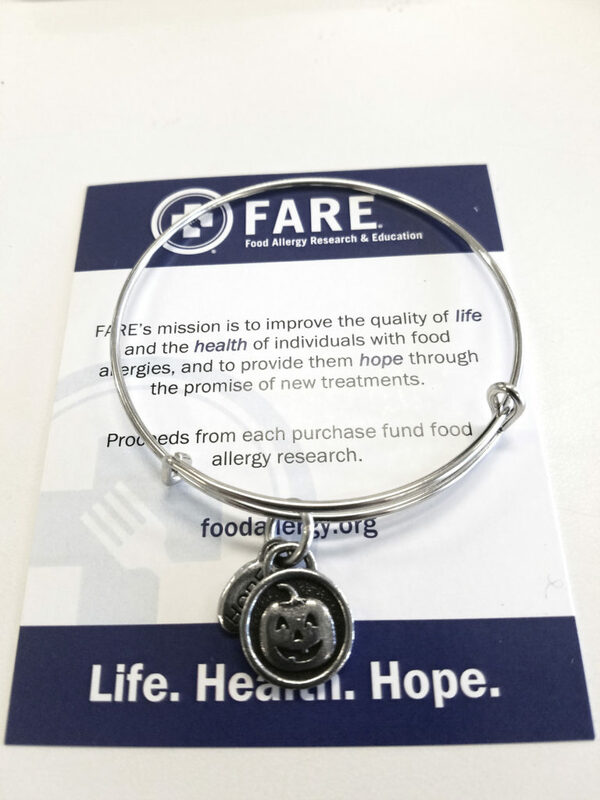 Food Allergy Research & Education, or FARE, sells merchandise through their online store to raise funds for research. They offer a variety of products some of which have life-saving benefits for those with food allergies. 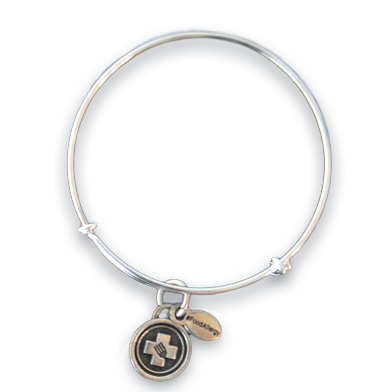 Their latest offering is a Bangle Dangle featuring a charm with their cross and fork logo. In addition, there is a branding bead with the hashtag food allergy on one side and hope on the other. The Bangle Dangles are fundraising awareness bracelets. 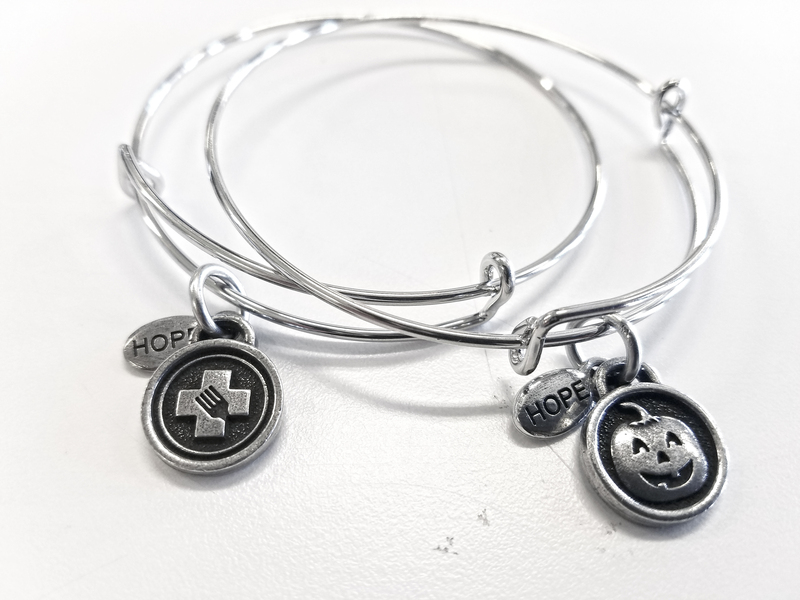 Bangle Dangles are fashionable and meaningful ways to alert people to an important cause. These FARE bracelets are steel plated bangles that are sure to catch everyone’s eye. We really loved creating these incredibly important bracelets for FARE. Above all, they will go a long way in funding research, and we hope someday there is help for those with serious food allergies. FARE sells their bracelets for two reasons in particular. First, to help educate people about food allergies. Whether they are suffering themselves or know someone with a severe allergy, knowledge is key. They have the tools needed to help in an emergency and prevent emergencies altogether. Second, is to raise awareness. It is important to realize food allergies are not the same as food intolerances. Knowing this can make a world of difference to those suffering from serious, life-threatening conditions. FARE formed in 2012 through a merger of two important allergy organizations. Together, Food Allergy and Anaphylaxis Network and the Food Allergy Initiative created a unified voice for those suffering from these conditions. Each organization brought expertise in anaphylaxis and food allergies consequently providing an opportunity for better research and education. Moreover, the union encouraged greater advocacy and increased awareness. Today, FARE is the world’s largest private source for allergy research funding. They fund basic and clinical research to develop new therapies in order to prevent life-threatening allergic reactions. Moreover, they study the cause of these allergies not to mention their impact. As a matter of fact, a variety of people use FARE and their services. Family members learn important information to help those closest to them. 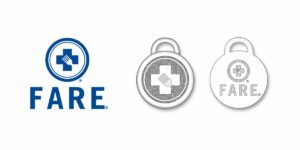 Healthcare providers see FARE as a resource for materials and information about clinical trials. As mentioned above, scientists have their studies funded by FARE. Generally speaking, FARE goes the extra mile to be the ultimate source for food allergy support, information, and guidance. In essence, food allergies occur when the immune system overreacts to harmless foods like dairy, eggs, and peanuts. Whether a food allergy is mild or severe it impacts a person’s quality of life. FARE provides hope to those affected. They provide support that allows people to live safe, productive lives with respect. As family members and citizens, we can go the extra mile to ensure the world is safe for those with food allergies. FARE fundraising awareness bracelets are currently available for purchase in their online store. Finally, to purchase a FARE bracelet, visit their shop here. Receive Charity Charms blog posts, inspiration, and updates directly to your inbox! Is your business, school, or organization looking for a unique idea to raise money for the important work you do?